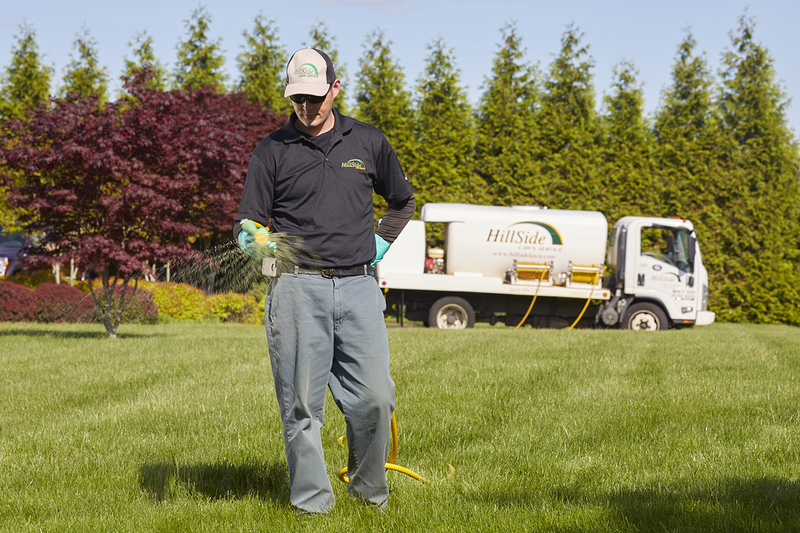 We Make Green Lawns Easy! green and weed free on your budget! More Than Just Green Lawns! Is your lawn thinning out? Trees losing leaves? and eliminate pesky problems all season long! We make sure that your lawn and garden look fabulous! See what some of your neighbors say about our friendly service, guaranteed satisfaction, and professional, experienced staff. 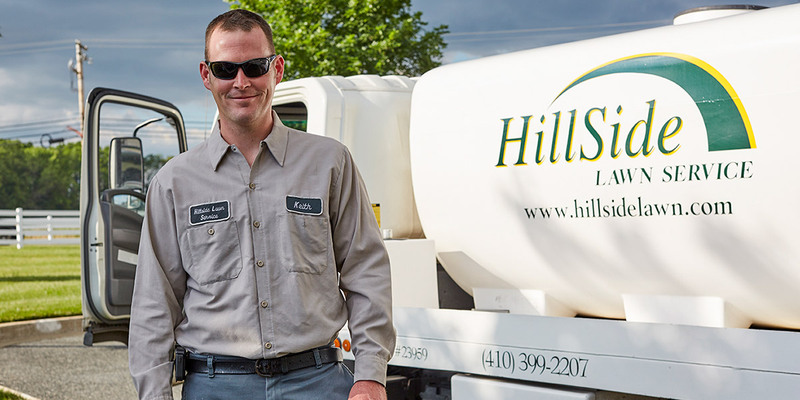 "I have been a loyal customer of Hillside Lawn Service for over 8 years and I would highly recommend Hillside for all of your lawn treatment services. I wouldn’t dream of using any other company!" "You & your coworkers did a great job seeding. There is tremendous coverage over the entire lawn! We are going for most improved yard in the neighborhood and I think we might win!! Thanks again and I look forward to working with you in the spring." Want to keep up to date with all our latest turf and tree tips? Our newsletter only publishes once a month, so we won’t “bug” you!